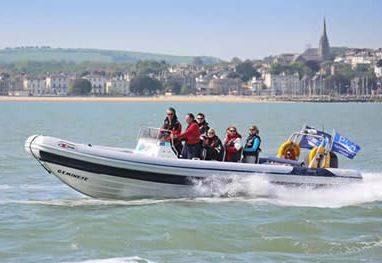 Welcome to C2 RIBS- Specialist Powerboat & RIB Charters for The Solent, The Isle of Wight and South Coast. A Truly Unforgettable Experience for both Corporate and Group parties. 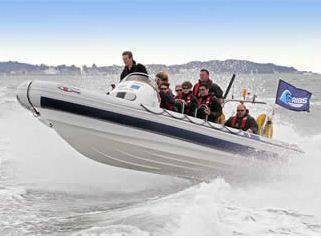 C2 RIBS offer Powerboat hire and RIB Charters on The Solent and South Coast. 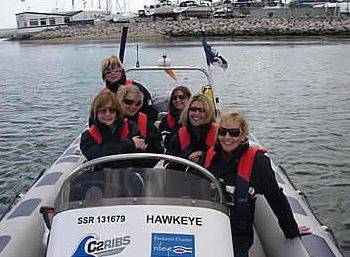 Each Charter RIB, is on fully safety inspected boat and is tailored to your specification whether out with friends, corporate clients, family or just watching a sailing or powerboat event. C2 RIBS have the boat for you. Our aim is to ensure you have the best day ever on the water. 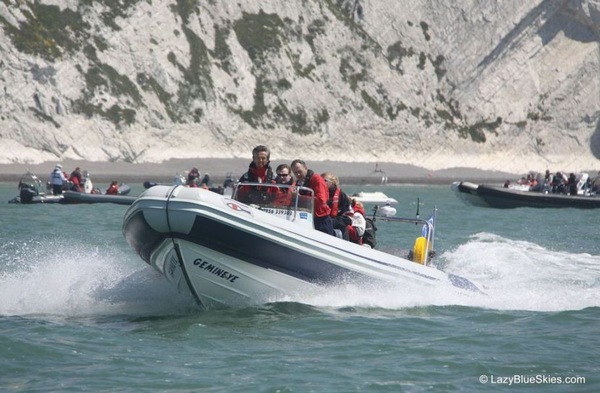 C2 RIBS is a privately owned and run RIB charter business based in The Solent waters of the South of England and licensed to operate up to 20 miles from any safe haven. 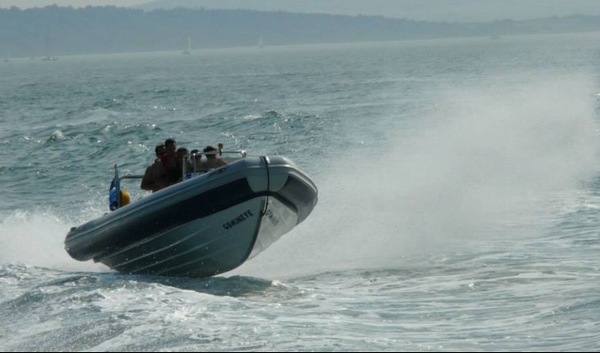 We have been involved in boating for over thirty years having been involved in dinghy racing, yachts and safety boats. We have been windsurfing and sailing for over 30 years. We have a passion for all watersports and will work hard to ensure you gain some of our passion. Consider a half day for your group or ask about a variation on times for your day. We can also add to your experience a marine photographer to ensure your day is captured on film or look to add a powerboat, yacht or a landbased experience like clay pigeon shooting or go-carting. Leave port and ride out to your decided destination / area or event. After lunch you board your boat and enjoy the next venue or destination for the afternoon, maybe a run to The Needles . 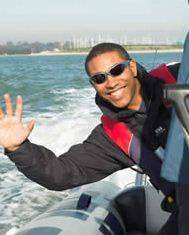 Spend some time enjoying more of the views and performance power boating or joining in another experience. We are able to work from any location in The Solent such as Cowes, Portsmouth, Lymington or The Hamble River. If you need another UK location please call us to arrange. The Solent is one of the most popular coastal areas of Britain, it is on the doorstep to The New Forest and stretches some 25 to 30 miles from Hurst Point castle in the West towards Chichester Harbour in the East, it offers a wide variety of cruising. The Solent is the International centre for yachting and hosts many major sailing and power boat events throughout the year. There are many marinas on this stretch of water, with each port and town worth visiting -from Southampton with its busy docks where the world’s largest cruise liners visit, to quaint harbour towns such as Yarmouth on The Isle of Wight for lunch. Each charter is personally tailored to your requests to visit such famous sites such asThe Needles at the North Western end of the Isle of Wight, The Spinnaker Tower in Portsmouth or just sight seeing in picturesque rivers such as the Beaulieu River into The New Forest or the Lymington River. 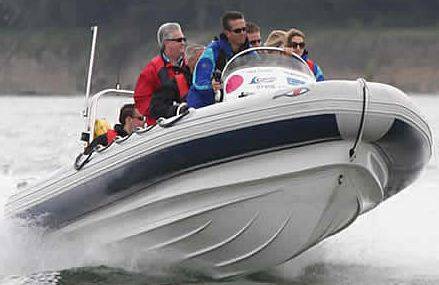 Our Ribs can comfortably carry ten people and are licensed for twelve including the helm, we can also arrange for larger parties using very similar craft operating under the same safety guidelines. Our aim to give everyone a fantastic time on the water either watching a major event, for instance a round the World Yacht race, a major powerboat race or supporting major clients such as The Skandia Cowes week sailing event (now known as Cowes Week) where we have supported tall ships, yachts and power launches. 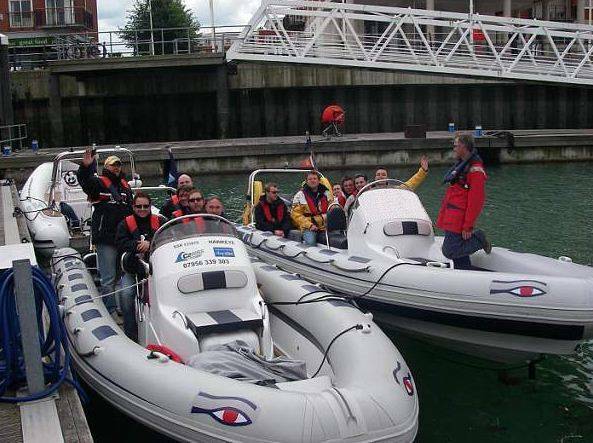 Do you need a Rigid Inflatable Boat for filming or events? We can also arrange for a photographer to meet your demands for action photographs of you, your crew and your boat.